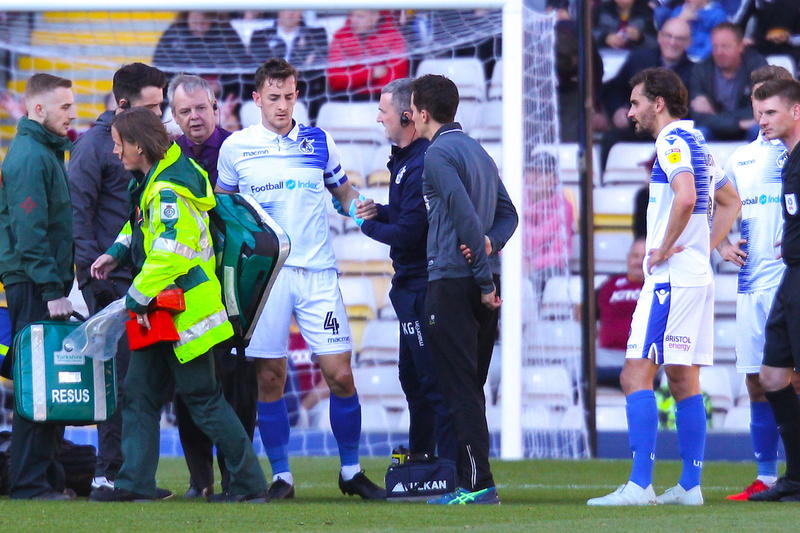 The visitors had a lot of defending to do, notably when Tom Lockyer was almost caught out by George Miller inside the first 45 minutes with a mishit clearance – the skipper would also be withdrawn from the game shortly after for a head injury. Both sides struggled to get a foot on the ball within the opening five minutes, with the only event of note being a Sinclair shot from range deflecting behind for the game’s first corner. The latter then had another decent chance a few moments later, peeling off at the back post to get his head to Ed Upson’s deep corner but the striker was on the stretch and couldn’t get over the ball. 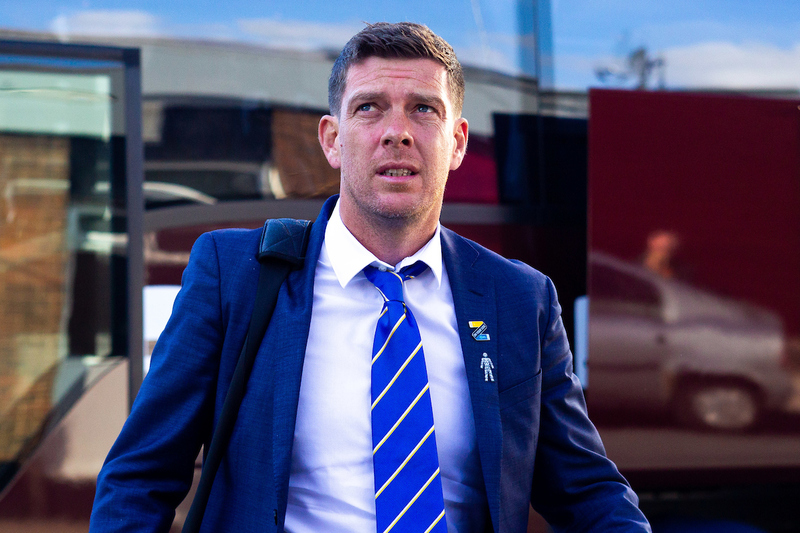 Lockyer was in the thick of it once more just a few minutes later, as he was involved in a nasty clash of heads with the man he’d almost allowed in on goal just shortly before, Miller, but both thankfully returned to their feet following some treatment. 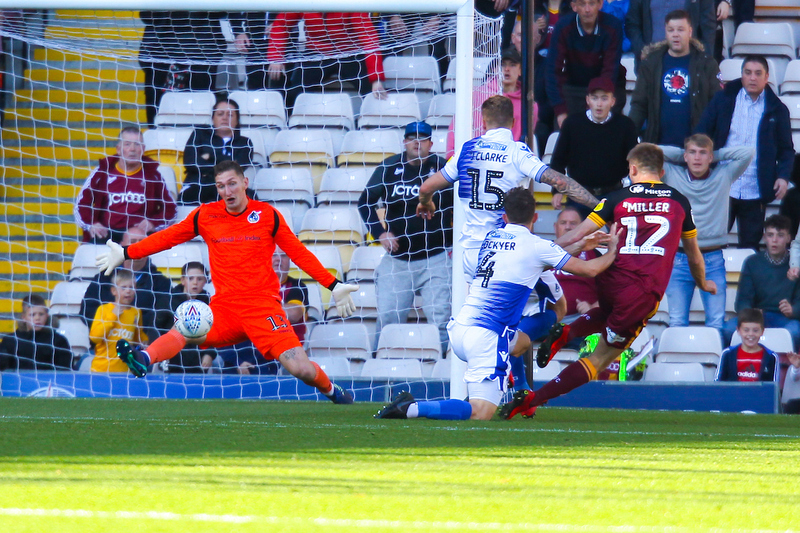 Ollie Clarke received the game’s first caution on 32 minutes as he attempted to block Bradford keeper Richard O’Donnell’s drop-kick clearance. 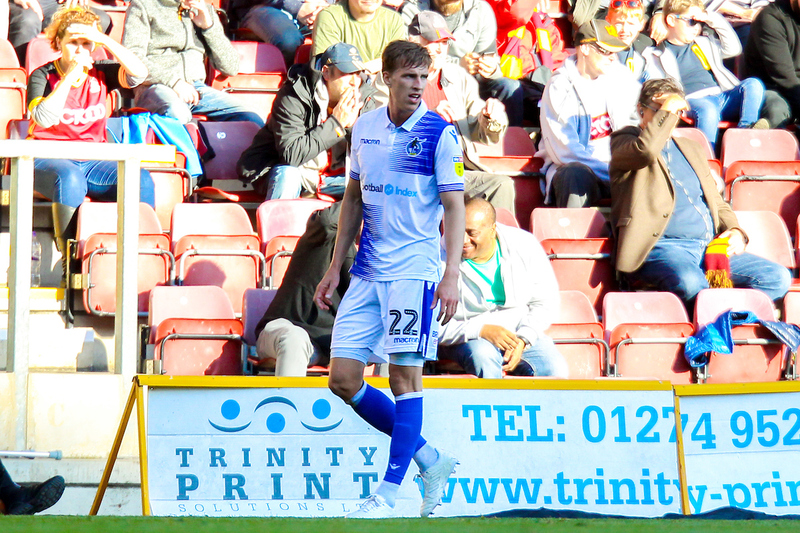 Despite continuing following the initial clash, it became clear Rovers’ captain could not continue and as such was replaced by Tom Broadbent with just under 10 minutes of the first half remaining – O.Clarke took the armband for the remainder of the contest. Three minutes or so into the half’s five additional minutes, Kelly had the traveling Rovers fans on their feet and on the cusp of celebration, with the young full back firing a wicked ball across goal and narrowly past the far post! The half at this point certainly belonged to Bradford and they somehow couldn’t break the deadlock on 64 minutes, when Scannell went through on goal, hit the post from close range with the ball falling to Jack Payne, whose shot was superbly blocked on the line by Tony Craig! Despite buying themselves 10 minutes or so of breathing space up the pitch, Rovers went back under the cosh when Kelly lost his footing, allowing Scannell to profit down the right and pick out Lewis O’Brien, who very nearly controlled and got a shot away inside the area. Scannell continued to cause problems down the right flank and got beyond Kelly who consequently clipped his heels and conceded a free kick – it was whipped in by Payne but beaten away confidently by Bonham. With 10 minutes left, Liam Sercombe made his return from injury to a relieve a man who had done so as well – a solid 80 minutes from Partington. The midfielder got straight into the action, as Rovers and Nichols countered rapidly down the right following a free kick, the forward found the onrushing James Clarke, who then fed Sercombe – his shot deflected behind for a corner. 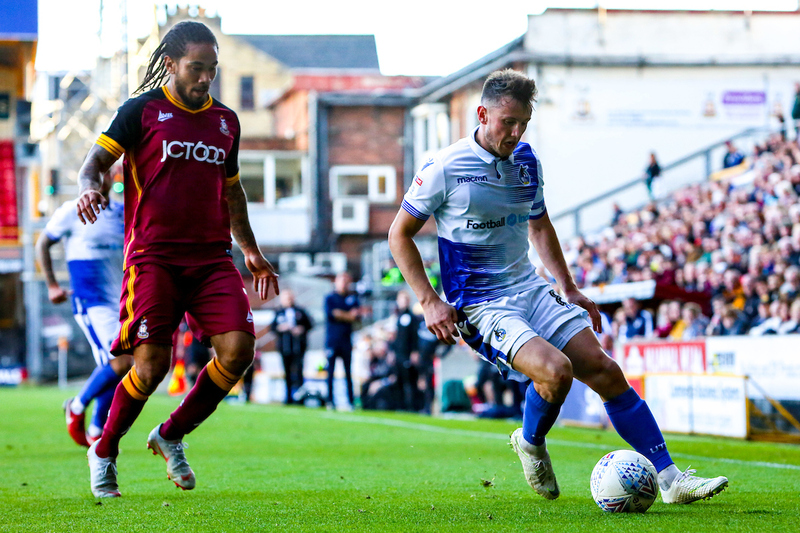 Scannell again was at the forefront of Bradford’s attack, cutting inside down the right and forces a stop from Bonham followed by an important clearance away by Craig. As we entered stoppage time, Alex Jakubiak was introduced at the expense of Nichols and didn’t take long to get involved, testing O’Donnell low to his right with a decent strike just inside the area. Rovers XI: Jack Bonham (GK), Joe Partington (Liam Sercombe, 80′), Tom Lockyer (c) (Tom Broadbent, 37′), James Clarke, Tony Craig, Michael Kelly, Ollie Clarke, Ed Upson, Stuart Sinclair, Tom Nichols (Alex Jakubiak, 90′), Gavin Reilly. 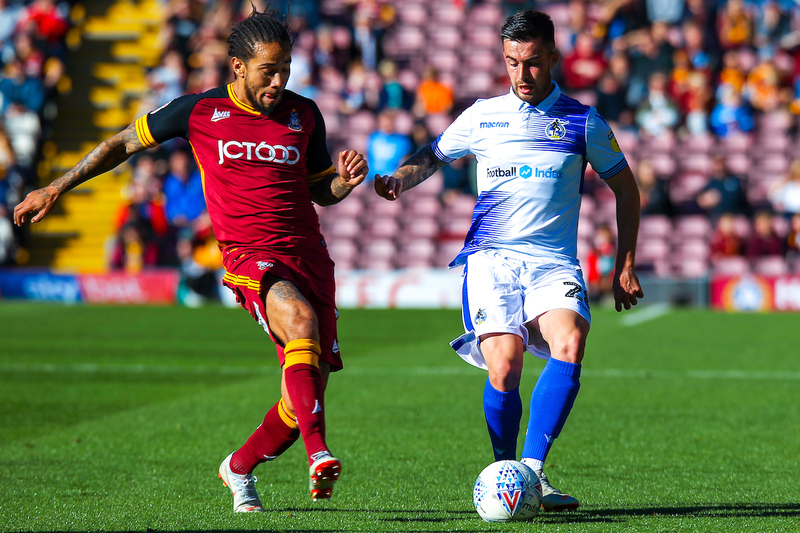 Bradford XI: Richard O’Donnell (GK), Ryan McGowan, Jim O’Brien, Anthony O’Connor, Sean Scannell, Eoin Doyle (c) (David Ball, 76′), George Miller (Kai Bruenker, 90′) , Kelvin Mellor, Connor Wood, Jordan Gibson (Jack Payne, 51′), Lewis O’Brien.